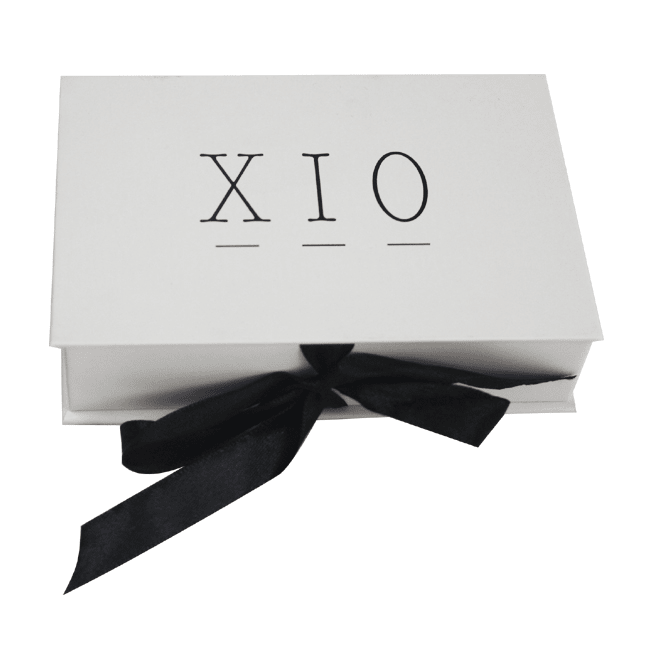 This pure white box is very simple with black logo on the top centre if you just want your box keep simple style and looking. 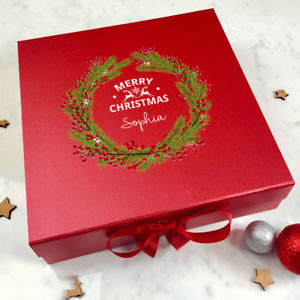 Of course you can also have plenty of thoughts of your printing to be realized in such boxes, maybe to add up some red, grey or gold color to symbolize Christmas Day? I think you customers will be so pleased and happy when recieved such a red box with gifts inside. Don’t forget the ribbon. It places a very important role for your Chirstmas promotion. Becuse it can be any color or with some wishes printed on it or your logo or your slagon. That is very interesting and warming when people see it the moment they unlock the ribbon and open the magnetic gift box. I think it is the most busiest season for our paper gift box manufacturers,because after Christmas, there comes the New Year. What do you prepared for New Year gifts?